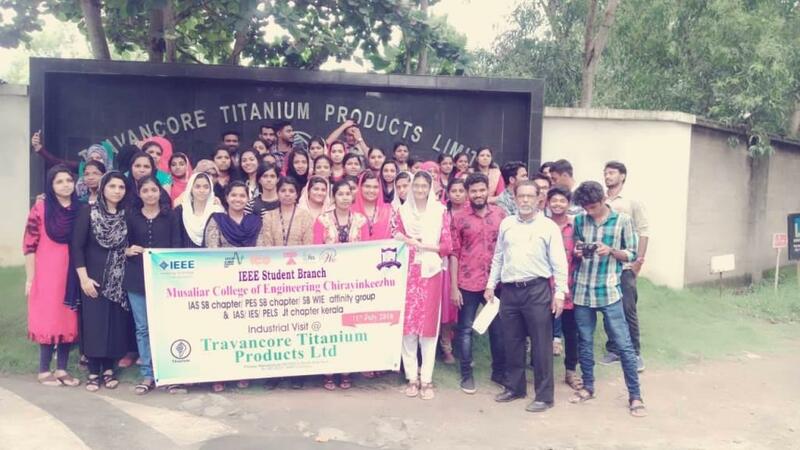 Industrial visit to Travancore Titanium Products Ltd, Veli, Trivandrum was jointly organized by IA/IE/PEL Jt.Chapter Kerala section and IAS SB chapter Musaliar Engineering College Chirayinkeezhu on 11th July 2018. The operations of the company were explained to the students by the engineers of the company. 56 students & 3 faculty members participated in the Industrial visit. 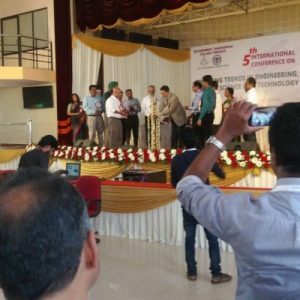 12 IEEE Student members & 3 IEEE faculty members joined the trip. The visit was in the forenoon. After the visit, the students were taken to a nearby tourist location, namely Veli Park. The students enjoyed the trip.